Avast ye matey, welcome aboard Capecodclam.com. 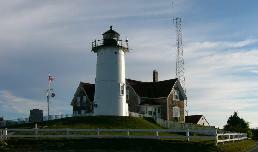 Cape Cod is a special place, a home to independent souls. 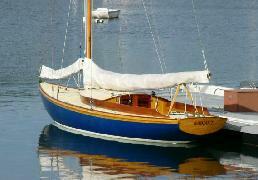 Folks from around the globe visit here for magnificent sailing, spectacular fishing and serendipitous sightseeing. 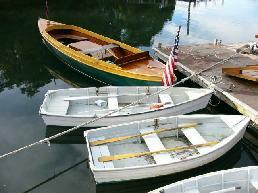 Harbors abound on the Cape and many classic sailboats and yatchs find safe refuge there. Many estates have changed little through the years. Years ago the main industries on the Cape were whaling and salt works, the evaporating of salt water in large shallow trays in order to produce sea salt. Today, tourism is the Cape's main trade. The seafood is second to none. "Lawbsta", "scawlups" and "cawd" are the favorite bait of the short-pants crowd. Not to mention fried clams, which are highly revered. Some wags put clams on a pedestal. Have a nice visit. 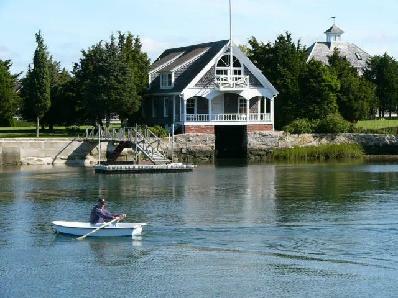 A vintage boat house in West Falmouth Harbor. 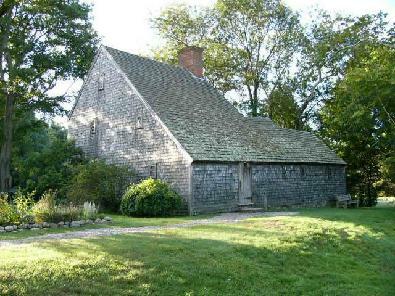 The Hoxie House, built in 1637, the oldest house on the Cape, located in Sandwich. 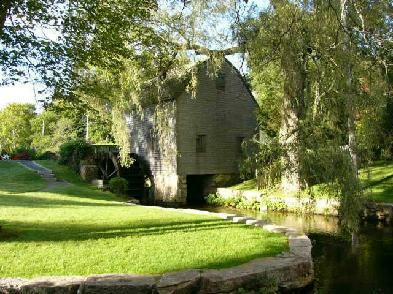 Dexter Grain Mill, Sandwich. It still grinds corn today!